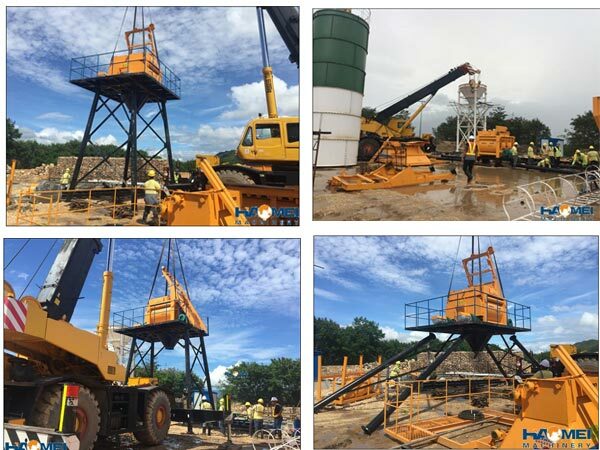 haomei 50m3/h low cost concrete batching plant adopts JS series twin-shaft compulsory mixer, producing homogeneous concrete with good quality in short time. The easily-damaged parts could last for long time, convenient to operate and maintain. It applied the latest design for electronic weighing, computer control and digital display. The electronic weighing system has a buffer device and automatic volume compensation with high accuracy. The sand and gravel feeding system applied inclined belt with great width, the maintenance walkways is installed. It is the ideal choice for producing high-quality concrete.